Guyana's expected oil boom has prompted many companies in TT to increase activities on the South American country in a bid to take full advantage of its growing prosperity. 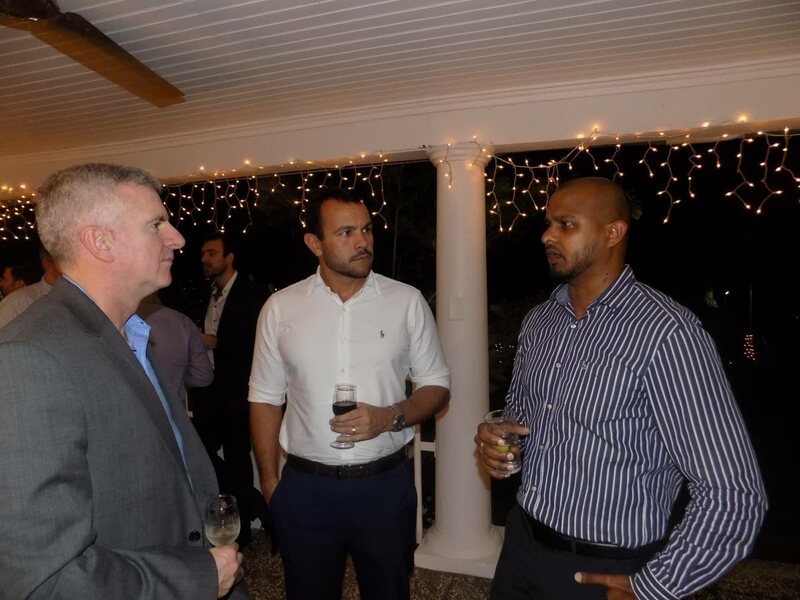 Vijay Jaggassar, business development manager for Massy Wood, shared this outlook with Business Day during a reception ceremony for Energy Industries Council trade delegation, at the UK High Commissioner's residence, Maraval, on Tuesday night. Jaggassar said TT and Guyana shared a long and prosperous history of trade and investment in each other's countries and said developments in their energy sector would be the catalyst for a new level of trade. "Massy has been operating in Guyana for over 50 years, Massy Wood is setting up their office right now as we speak. We have started the hiring process and have a location for our office and we intend to spend a lot of time going back and forth into Guyana understanding what the country needs," he said. "Our mandate is really to give the people opportunities and training, we think it's a win-win situation. Infrastructure and training is our horizon one, whereas Exxon and oil and gas comes after." He said TT could benefit greatly by investing in Guyana and said signs of an economic turnaround locally were clear. Commenting on TT's technical expertise and experience in the oil and gas industry, he said the oil boom could be the beginning of a fruitful relationship. "All of our operators are starting back projects and there is quite a need for the procurement of technology to support the ongoing maintenance of facilities both on shore and off shore. There are quite a lot of projects in terms of upgrading the efficiencies of platforms. "With Guyana picking up, I think TT has been the godfather in the oil and gas industry and is in a good position to offer assistance." Reply to "Massy Wood sees growth in Guyana"